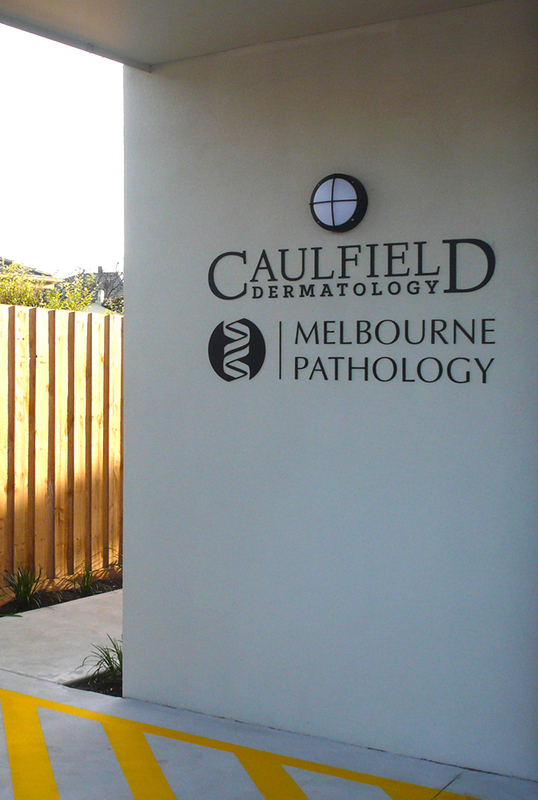 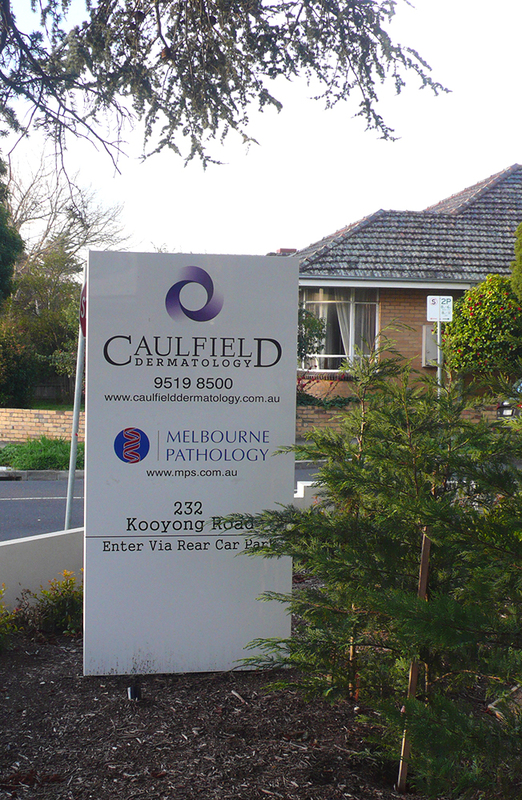 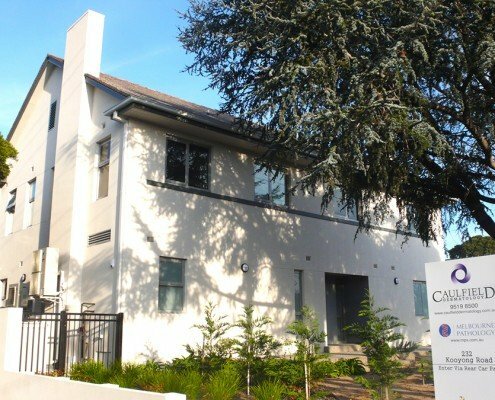 This project saw the major renovation of an existing building to form a new doctors consulting room and pathology facility in Melbourne. 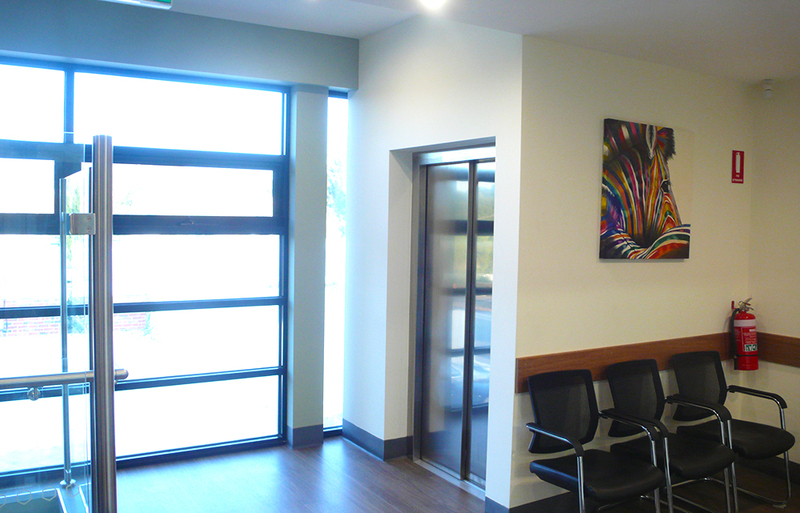 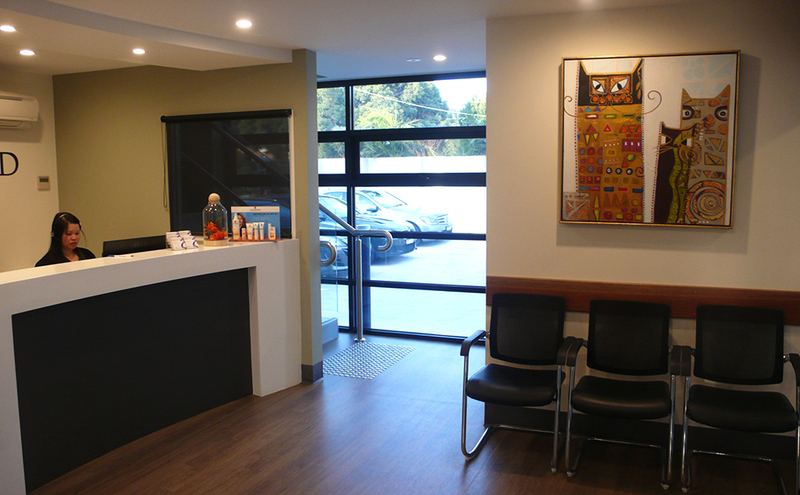 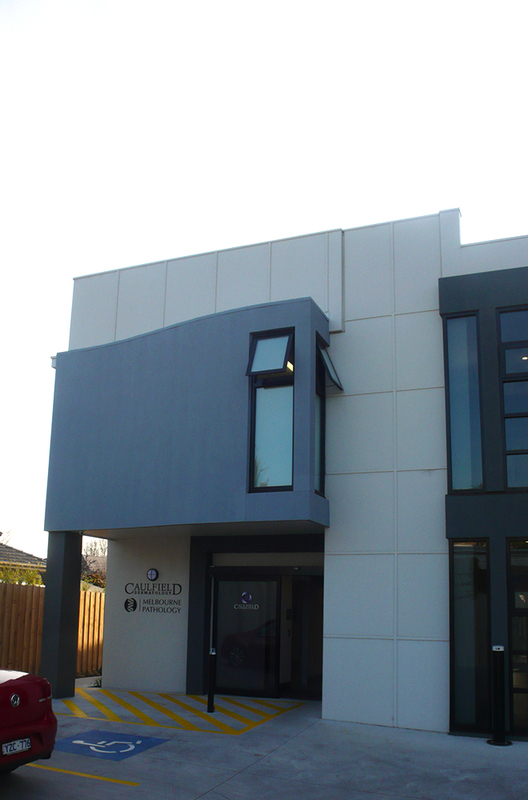 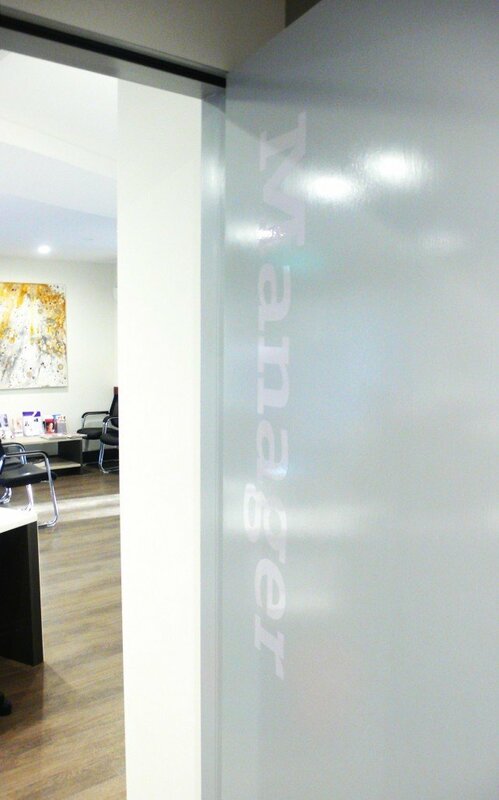 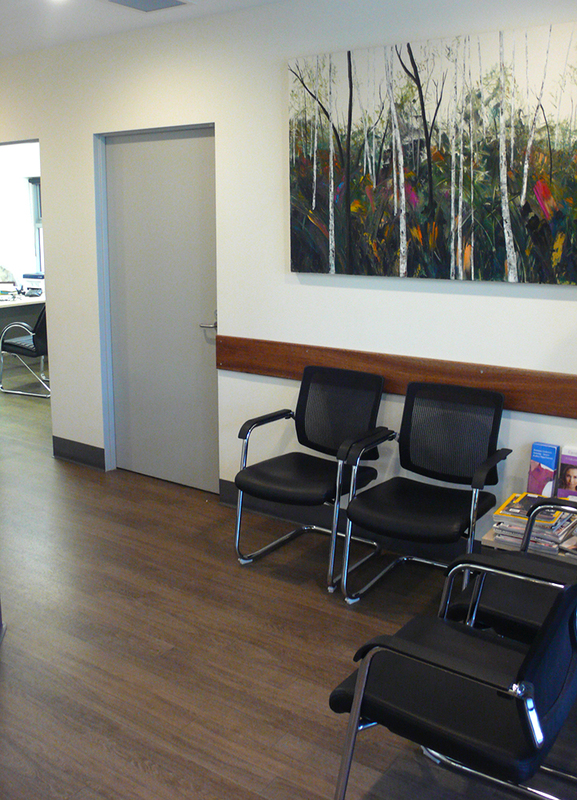 The external appearance of the building was upgraded to reflect the clean, high-tech nature of the new consulting rooms. 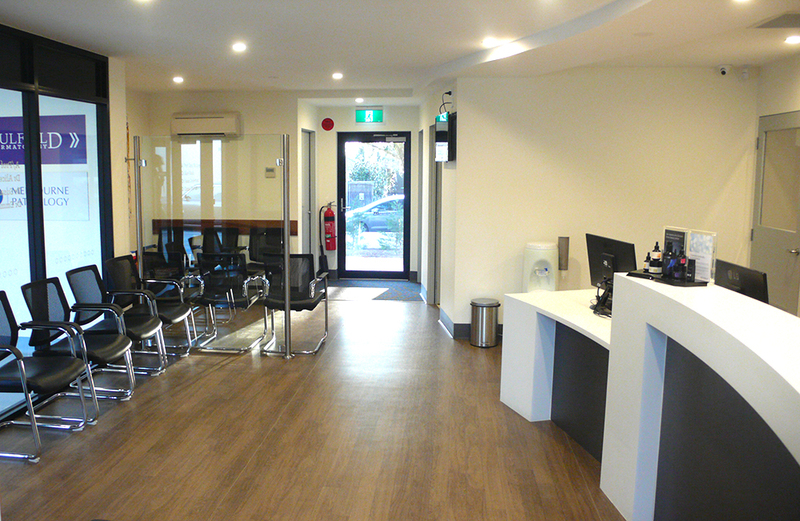 The building layout has a carefully managed work flow: from reception to waiting area, then consultation, treatment or surgery; along with back of house and support services. 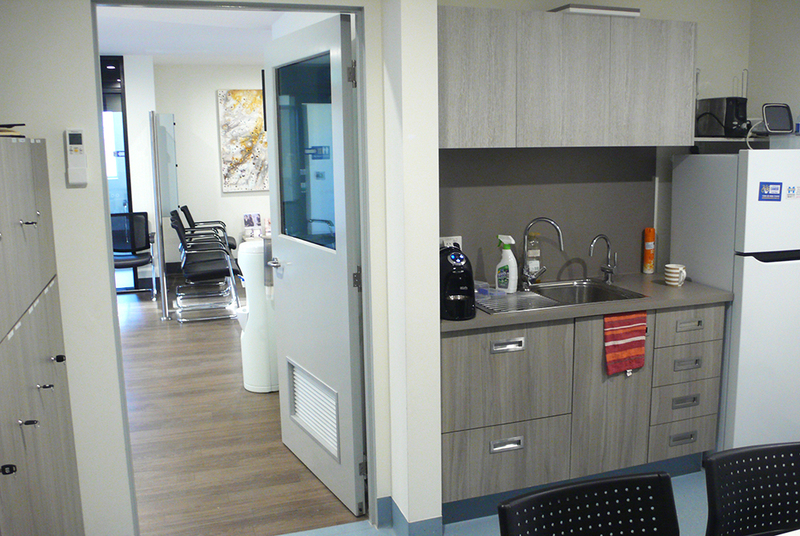 Patient privacy and comfort were paramount concerns when designing this facility. 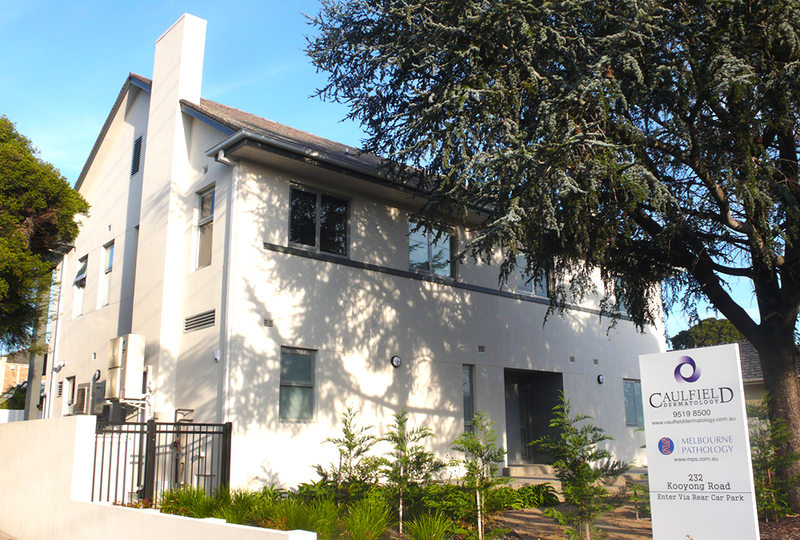 Because of the heritage listing, the building’s existing walls, chimney, stairs and original roofline have been maintained. 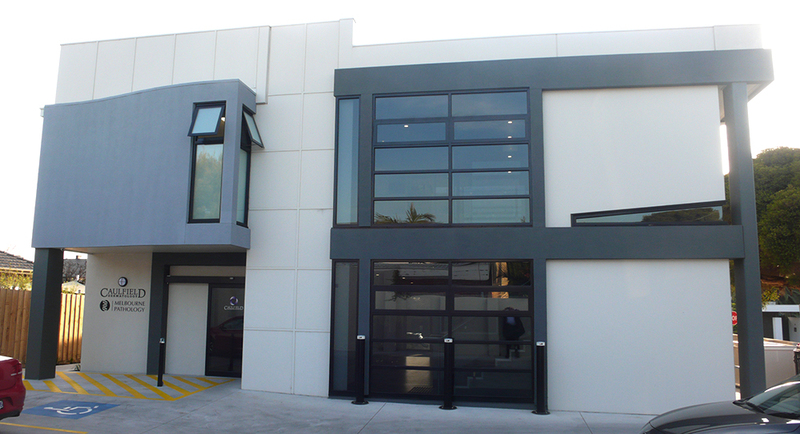 A new and contrasting, modern, two-story addition is located in a setback position at the rear which connects via a glass link through the roofline on the first floor level. 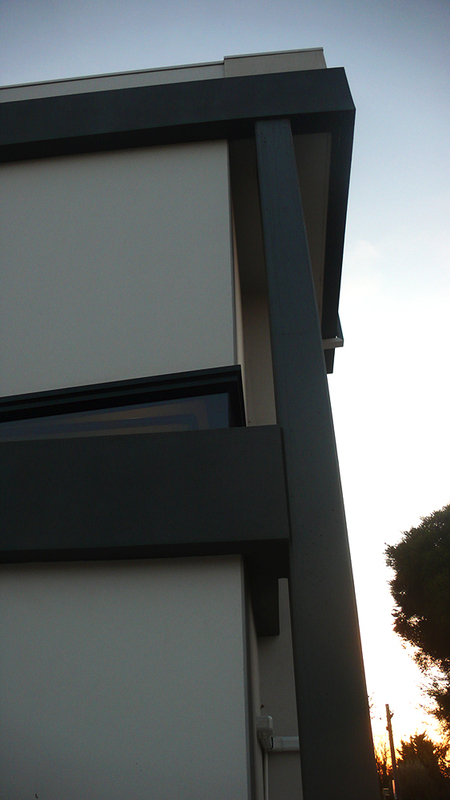 This then opens out to the northerly aspect of the backyard on the ground level. 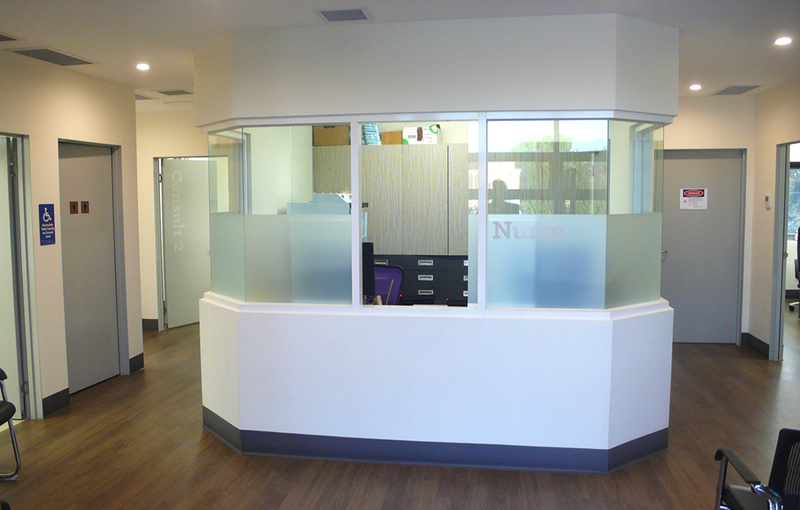 All internal spaces were stripped back and refurbished. 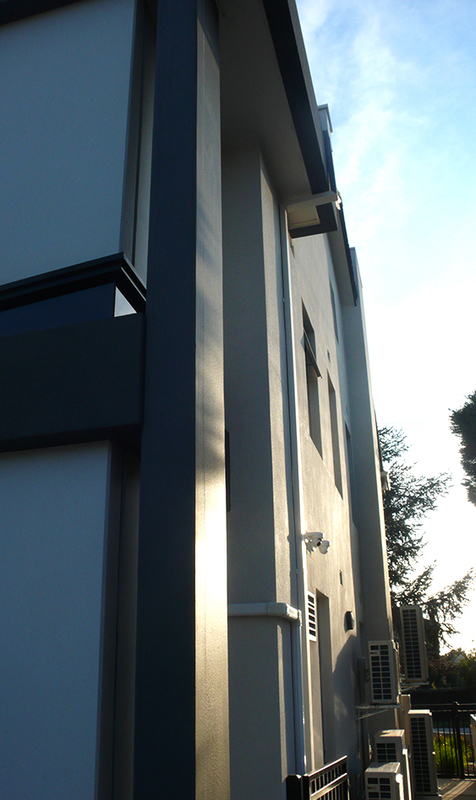 Natural timber wall cladding further differentiates the new work from the rendered heritage facade of the original residence.